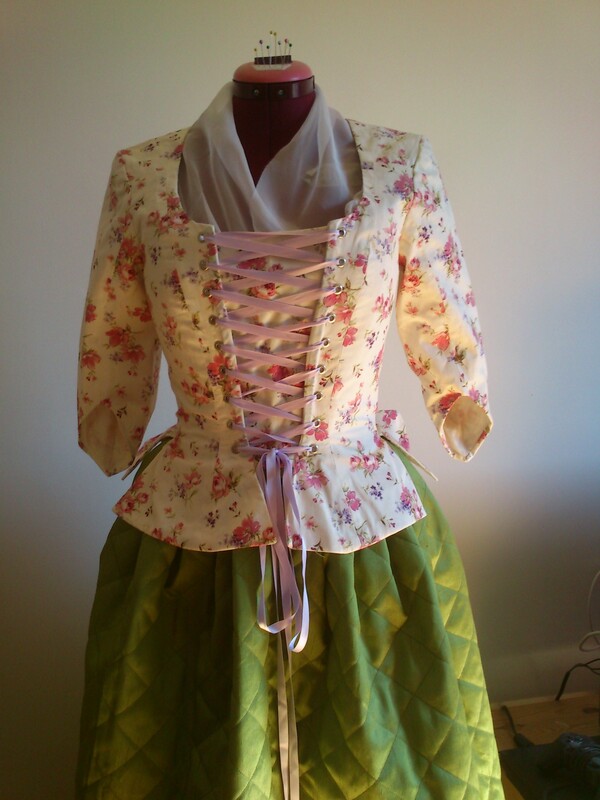 I made this jacket a year ago, as my first real attempt at historical clothing. I have tried it a bit previously but never bothered to read up on historical techniques and silhouettes so the result is really nothing I’m proud of. But with this jacket I made a new attempt and this time i actually read and reaserched a lot before starting. 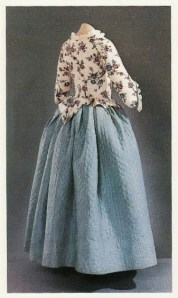 It was when I bought the book “Costume close-up” by Baumgarten it all started for me. 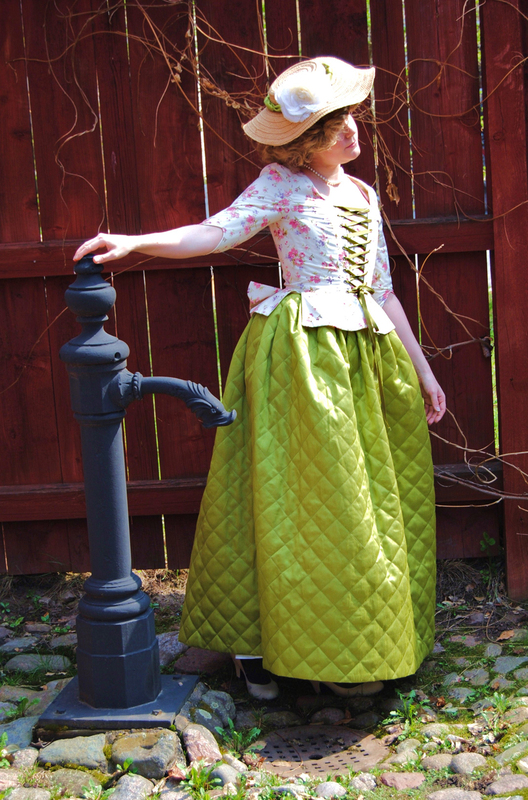 In that book I found this wonderful picture of a flowery jacket worn with a quilted petticoat. The whole silhouette was so beautiful and I fell in love with the little peplum and the wounderful simplicity of the outfit. I immediately went to the fabric store and picked out some printed cotton. The little pink and violet flowers seemed to be made for some 18th century garnment. I also bought some ivory cotton for the linning, and some violet ribbon for the front lacing. I enlarged the pattern from the book with the help of my computer and printer. 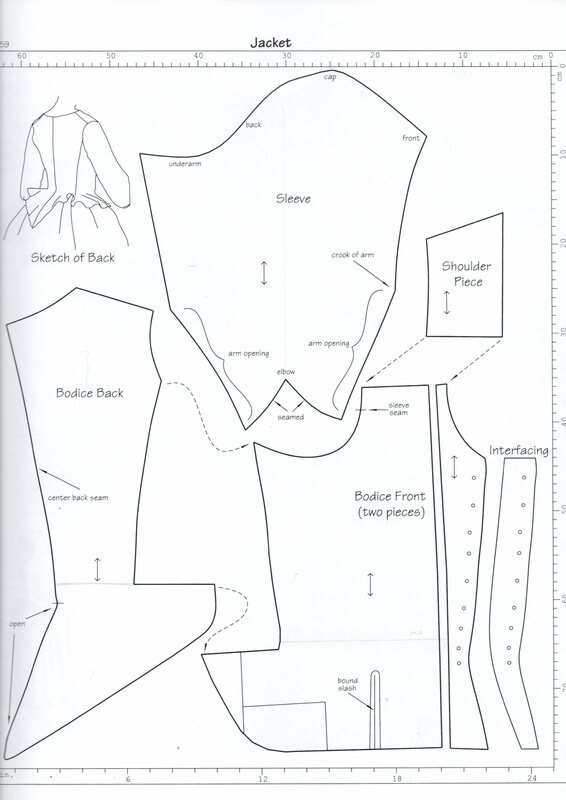 I adjusted the pattern pieces after my measurments and started to cut out the fabric. I sewed it all up by machine, and put the gromets in the front for lacing. It wasn’t until I finished the jacket I realised I had made it two inches too small. I’ve been too eager to get started to bother to make a mock-up and never stopped to test it while sewing. Even though it didn’t fit me I absolutely loved the jacket and decided to give it to my smaller little sister. I’ve never gotten around to give it away and now, a year later, the jacket fits me like a glove. 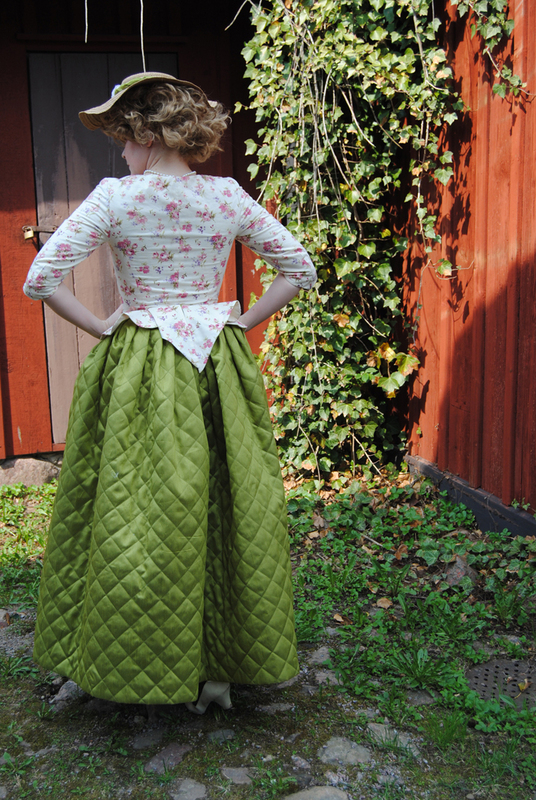 By now I’ve also found a couple of things to change on it, like the gromets (I’m planning to cover them in thread) and I would have liked it to be completely hand-sewn. But anyhow I’m still really proud of it. 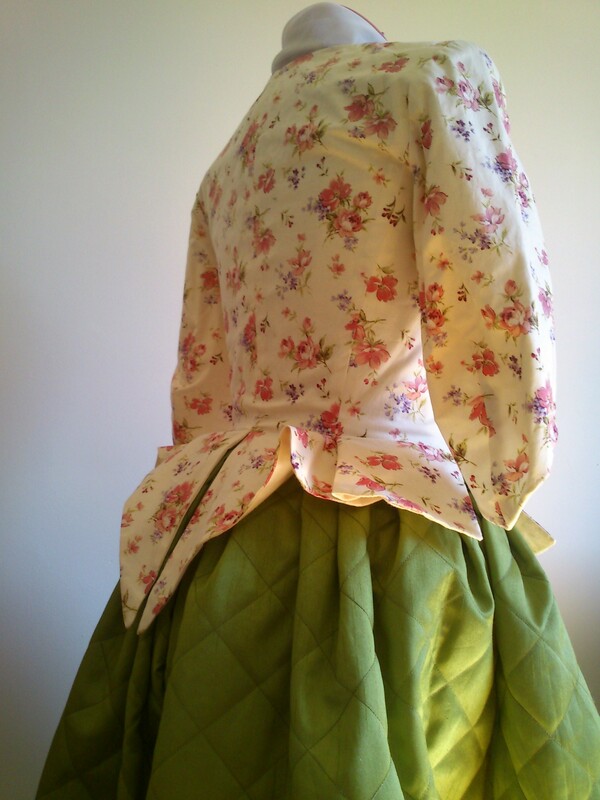 And here are som pictures of the jacket in action – paired with a green petticoat I will tell you about next time.